Supplements… Which One Is Right For Me? If you walk into your local GNC, Popeye’s, or any other supplements store, it’s easy to feel overwhelmed with all the products on their shelves. You will find row after row of bottles all claiming to ‘help burn fat’, ‘increase muscle mass’, ‘increase metabolism’.. etc. They are aimed at attracting your attention, because who doesn’t want to look lean & tight? But do you really need all that stuff?! The answer is: NO. 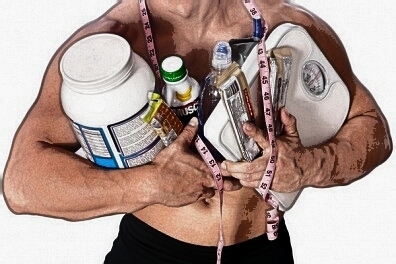 The average person (non-athlete/ competitior) does not need to spend an insane amount of money on supplements that really are not needed. The truth is, if you are eating healthy.. chances are your food is providing you with the majority of the nutrients your body requires to be at it’s best. But for someone who is in a caloric deficit, the following are some supplements which will help ensure you are running on optimal. Two out of three essential omega-3 fatty acids are found in the oil of fish. These are DHA (docosahexaenoic acid) & EPA (eicosapentaenoic acid). Together with ALA ( alpha-linolenic acid , found in things like flax and walnuts), the three fall under the subheading of omega-3 fatty acids which are crucial for brain function, normal growth and development, and inflammation. Deficiencies have been linked to a variety of health problems, including cardiovascular disease, some cancers, mood disorders, arthritis, and more. But that doesn’t mean taking high doses translates to better health and disease prevention. Aim for 3-9 daily grams of total fish oil (about 1-3 grams of EPA + DHA) per day (make sure their primary source isn’t fish discards). Look for small-fish-based formulations (e.g. herring, mackerel). Since smaller fish are lower on the food chain they are less likely to accumulate environmental toxins. Or choose krill oil or algae oil. Trans-fats can interfere with EPA & DHA in the body, so try to avoid consuming too much trans-fat. Choose liquid over capsules as they will be of higher quality.. and you will also avoid the dreaded ‘fish burps’. Most of us will have a small deficiency of vitamins and/or minerals in our daily diet. These deficiencies can affect mood, energy levels, slow down our metabolism, affect how we burn fat..just to name a few. It’s important that we fill this gap with a good multivitamin. Always stick to the recommended dose as overdosing of fat-soluble vitamins (A, D, E, K) can build up to toxic levels in our bodies. Learn all about the role of vitamins and minerals in our bodies here. Although not really necessary if you are consuming a diet high in lean proteins such as lean red meats, chicken, fish.. it is more of a time saving option since most people have busy schedules that prevents them from getting in an adequate amount of protein. Dietary protein is broken down by our bodies into amino acids acids to produce important molecules in our body – like enzymes, hormones, neurotransmitters, and antibodies – without an adequate protein intake, our bodies can’t function well at all. Protein also helps replace worn out cells, acts as a transport system throughout the body, and aids in growth and repair. Consuming protein can also increase levels of the hormone glucagon, which helps to control body fat. Glucagon is released when blood sugar levels drop. This causes the liver to break down stored glycogen into glucose for the body. Protein also helps to liberate free fatty acids from adipose tissue – another fuel source for cells which in turn results in a leaner appearance. Consuming higher levels of protein (~1g- per pound of body weight) may help you feel satisfied after eating as well as maintain a healthy body composition and good immune function. Aim to consume some protein before and after training to ensure adequate recovery. If you’re consuming a high amount of protein and not getting in your recommended amount of fruits & veggies (5-6 servings/ day) then you are creating an acidic environment that will affect your muscle & bones. Follow label recommendations, sticking with 1-2 servings/ day. Use in addition to real foods. Learn more about greens supplements and their benefits here. So here you have the supplements that are worth spending money on.. the rest are just going to fill up space in your cupboard and eventually collect dust. Posted on March 3, 2015, in Nutrition Tips and tagged Fitness, Health, healthy-living, lifestyle, Nutrition, Supplements, Women's Fitness. Bookmark the permalink. 1 Comment. Reblogged this on Fitness Health & Motivation.